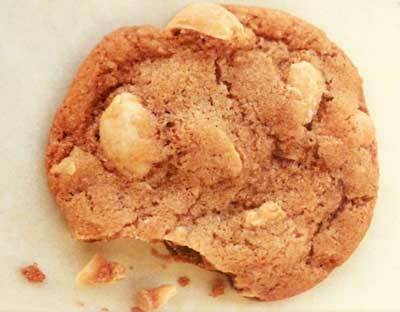 Using whole, salted peanuts in this Crunchy Peanut Cookie recipe creates a perfect match of sweet with salty. Here's an interesting little known fact about peanuts… Did you know that the peanuts is actually in the legume or "bean" family? I think I remember hearing that sometime, but peanuts are always with other nuts in the market, so I just naturally think of them as another type of nut. And "nut" is part of its name afterall, so it's an obvious connection to group them together. It is believed that peanuts were grown in Peru as far back as 7,600 years ago. And today, China leads the world production of peanuts at 41.5%, India produces about 18% and the U.S. about 7%. If you prefer the salty and sweet combination of flavors, you'll love these peanut drop cookies. Preheat oven to 350F degrees. Lightly grease cookie sheets or line them with parchment. In a small bowl, stir together flour, salt and baking soda. In a mixing bowl, combine butter and brown sugar on medium speed until pale and fluffy, about 2 minutes. Add egg and vanilla and mix well on low. Gradually add flour mixture and mix until combined. Drop dough by teaspoonfuls about 2 inches apart onto prepared baking sheets, flattening slightly to about 1 1/2 inches in diameter. Bake cookies about 13 minutes until edges are golden, rotating sheets 180 degrees halfway through baking time. This recipe yields about 36 Crunchy Peanut Cookies.